I had my first balayage treatment today with a shoulder length cut. I’m delighted with my hair, exactly what I wanted. Lottie was fantastic at talking through my options and what would work best for my hair type, extremely knowledgeable. Every time I come to the salon I have a great experience. Today I had dye and highlights Daisy made me feel so relaxed and I had no worries I knew it would look great, even got a wow from my husband when I got home, so thankyou Daisy see you soon. Staff are lovely and friendly, Lotty was very helpful and professional giving me advice on what type of cut would suit me and how to style it. Definitely recommend Browns Stamford. 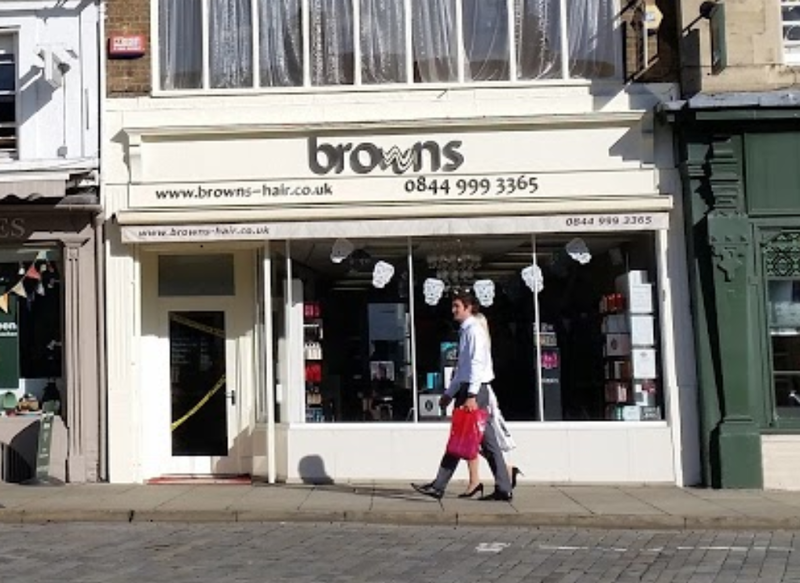 As a long standing customer of Browns, my daughter now also has her hair cut there. After an appointment error, Lottie gave me a complimentary cut for my daughter which was very much appreciated. Excellent customer service and always a lovely experience at Browns. I love going to see Lottie in Stamford. She does such a fabulous job and understands my hair completely. Never disappointed when I leave. The lady who did my my hair was very knowledgeable and cut my hair well. However, I cannot afford the prices. Great place, really good stylists. Always very happy with the result! I was very unhappy with a colour/cut that I had received at different salon so I chose this one to fix my issues has it had some amazing reviews, I came away feeling amazing, they fixed the colour and the style, the colleagues were very friendly very helpful, I cannot say enough nice things. I would highly recommend. I had my hair coloured and cut today with Lottie and I love it. The service was fabulous as always. I wouldn’t go anywhere else. Daisy gave me a superb cut and blow dry and finished with curling by using straighteners, amazing experience, can’t wait till next time! My 11 year old daughter had her hair cut,blow dried & straightened at Browns this afternoon, both members of staff she dealt with were lovely & made her feel at ease.Daisy who cut her hair has done a fabulous job ,it looks lovely & it was very reasonably priced. Thank you.